Storm Chasers totally JAZZED about division title! 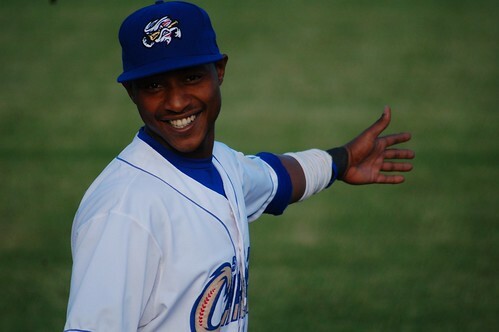 Jarrod Dyson stopped and did jazz hands, originally uploaded by Minda Haas. …or something. Jarrod Dyson actually just got really excited when he saw my camera. And he did jazz hands. Highlight of my week. More about the Chasers’ entrance into the postseason later.